As part of the capacity-building activities of the United Nations University – ITC Center on Spatial Analysis for Disaster Risk Management (UNU-ITC DRM) the Faculty of Geo-information Science and Earth Observation (ITC) of the University of Twente, the Netherlands, has developed a training package on the application of GIS for multi-hazard risk assessment. The package, called RiskCity comprises a complete suite of exercise descriptions, together with GIS data and presentation materials on the various steps required to collect and analyze relevant spatial data for hazard, vulnerability and risk assessment in an urban environment. The package has been developed in collaboration with several partner organizations on different continents, and is used as the basis for a series of courses. Currently it is available as a distance education course. This course deals with the procedures to collect, analyze and evaluate spatial information for risk assessment from natural and human-induced hazards (such as geological hazard, hydro-meteorological hazards, environmental hazards and technological hazards). The course will guide you through the entire process of risk assessment, on the basis of a case study of a city exposed to multiple hazards, in a developing country (RiskCity). Also a number of case studies are used from Europe (Italy, France), China, and Georgia. The course is composed of a number of sessions. Below is a summary of the sessions and detailed content. Theory: Introduction to disaster risk management and risk assessment. Theory: Presentation of data requirements for the various types of hazards. Sources of spatial data. Theory: Types of elements at risk; classification of buildings, infrastructure, lifelines, critical facilities; population information; collection of elements at risk information. 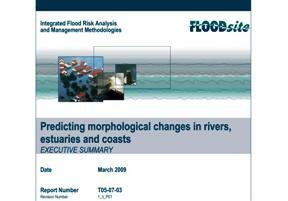 Exercises: Creating risk curves; Selection of risk assessment method: flooding, earthquakes, landslides, technological. Discussion: How to do such a study in your area?